Musicals have always affected me in a special way. There's something about the way stories are told through music – it makes me feel more connected to the art than anything else. When I moved to New York, I was the most excited about the access to Broadway (physical proximity, not the price, unfortunately). In college, I saw as many musicals produced by my university that I could (shoutout to my old marketing job at the School of the Arts), and if there was an opportunity to go to the Segerstrom Center, I was there. Moving to New York felt like graduating to an Ivy League, with so many options just sprinkled throughout Manhattan. 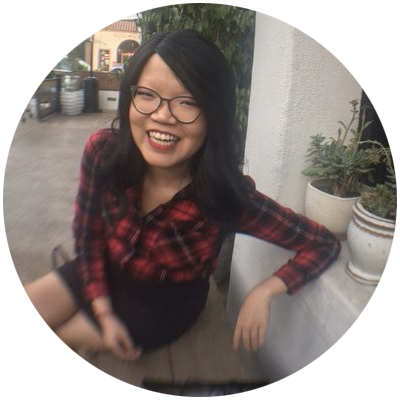 In the five years I lived in New York, I saw shows as much as I could manage, whether it was through TKTS, lotteries, or the occasional full price tag: Book of Mormon, Chicago, Once, Hamilton... I got to see shows I only ever heard through headphones and actors I long admired. If there's one thing I miss about this city, it's the possibilities housed within the theaters that line midtown. No matter how I was feeling, no matter what was happening in the world, the theatre was a place for comfort and love. Tonight, on my third visit back to New York this year, I finally got myself back to the theatre to see a show I'd been wanting to see for months. 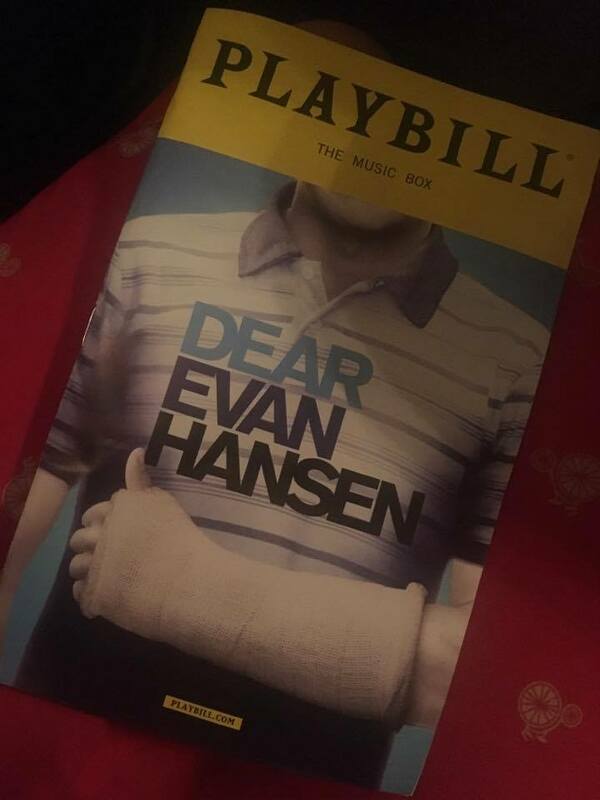 Dear Evan Hansen moved me to tears – from the first notes of "Waving Through a Window" through intermission to the standing ovation as the actors took their bows. The show is stunning, and its characters are so deeply flawed that you can't help but feel the music in your gut because you recognize your darkest thoughts in the words coming from the stage. 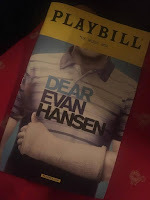 At a time when I needed the comfort and love the theatre can provide, it was a show that came at the right time and with the right message as I struggle to hang onto the branch above me. Post-posting note: I wrote this on my phone on the walk along 8th Ave back to my hotel and didn't edit before posting, so forgive me for the rambling.